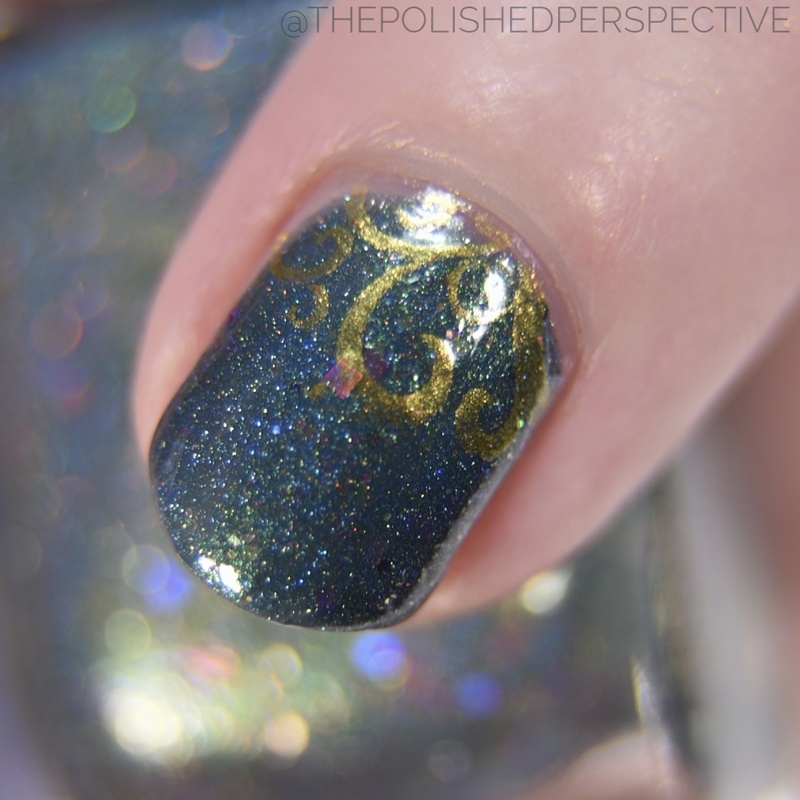 Acai berry holo with copper to gold shimmer, tiny gold, purple and blue flakies. This is my favorite of the trio because I absolutely love this shade of berry and the added flakes compliment the tone very well. The formula and application were fantastic. My swatch is shown in two coats plus top coat. Bronze holo with copper to green shimmer with tiny light bronze flakies. I've never seen a Texas tumble weed, just the balls of dust that float across the floor when I'm not on top of my cleaning game. I hope a real tumbleweed is as pretty as this polish. I thought sweater stamping would be really petty with my favorite sweater. Teal holo with soft pink to green shimmer, pink holo hexes and squares, violet holo hexes, black hexes, gold holo glitters, tiny purple and blue flakies, caramel hexes and gold flakies. Whew! There's a lot going on here, but everything has a purpose and looks well together. I love the combination of teal and bronze. Moo Moo's Signatures Life of Cowgirl Trio will launch Friday, 17th February 2017 at 10 PM SGT. Retail Price is SGD18 (12.67 USD) per bottle. Introductory Trio Set was be priced at SGD48 (33.80 USD) for 1 week. OOAK Life of a Cowgirl Collectible Set will be SGD150 (105.61 USD). Thanks for reading! 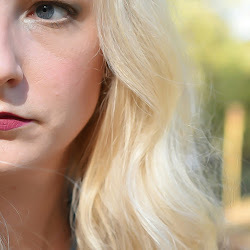 I hope to be back to blogging regularly soon! Lovely colors! Sorry to hear about your son, hope things get better soon! 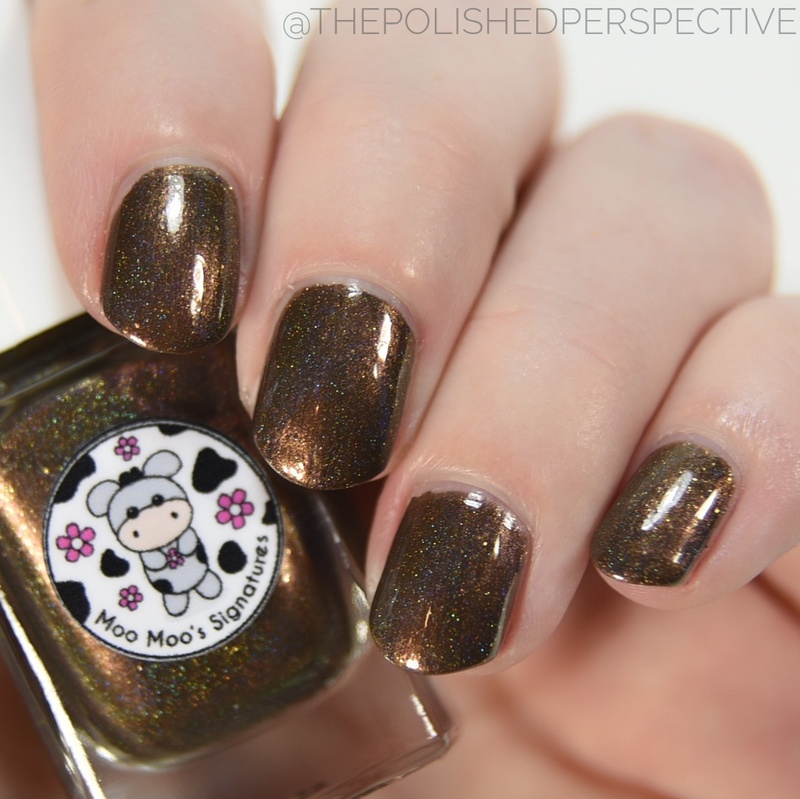 Cowgirl's Broken Time Machine feels like a really retro shade, and I love that! I'm sorry to hear about your son. I hope you guys are able to get things figured out soon. Time Machine is such a cool shade! 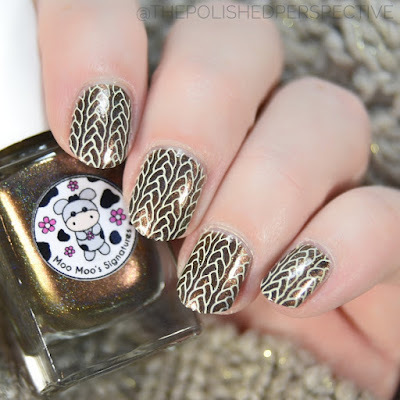 Love the stamping. Hope your son gets better soon! Broken Time Machine is my favorite!!! Great color! Beautiful trio! Chasing Tumbleweeds is my fav. Girl yes, these look amazing on you! I love all of your nail art! !